I’m becoming more and more proud to call the Atlanta area my new home. Okay, so the city gets a bad rep at times (traffic…), but it’s such a great place for young professionals and growing families. So much is being done to help the city grow and improve. There are incredible restaurants, unique museums, cool shows, a city feel, a quiet suburban feel, a variety of housing options, outdoor space, shopping and more. I love the city part of Atlanta, the suburbs of Atlanta and the easy day trips to the mountains. Since we’re still learning all about our new city, I thought I’d take some time to compile a list of our favorite activities for anyone traveling to the Atlanta area and wanting to do some touristy Atlanta things. There’s a lot to do, so I narrowed down the ones I thought were really worth it. My list quickly became way too large to put in one post (thanks to the massiveness of this area), so I’ll be sharing my Atlanta City Guide today. I’ll be posting my Suburban Atlanta Guide soon. Enjoy! 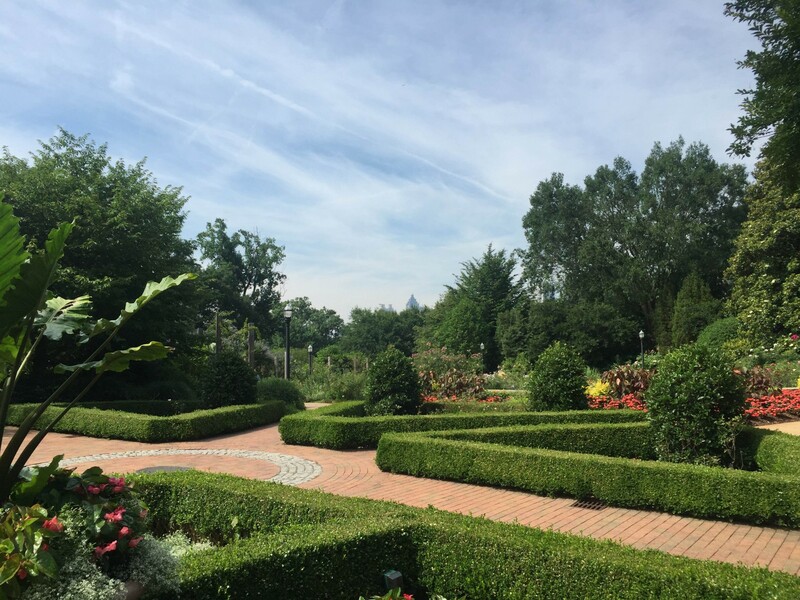 Botanical Gardens: There’s so much to be said about the gardens, from impressive city views to breathtaking greenhouses to cool seasonal exhibits. It’s a great place to spend the day (or morning, if it’s a hot day). Around Christmastime, they have really beautiful lights and decorations. 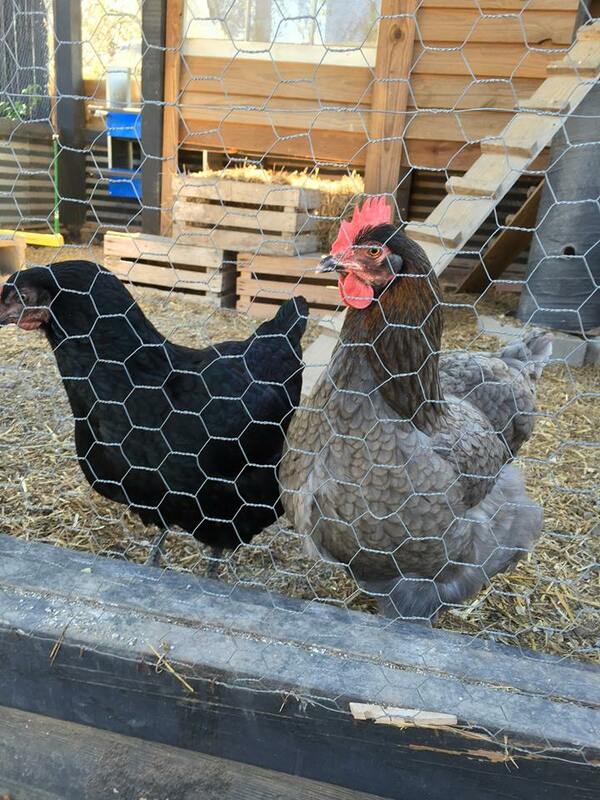 Any random tours, like the Urban Chicken Coop Tour (yes, that’s a thing): I went on this tour last spring and it was a really cool way to see different neighborhoods, homes and how people bring agriculture to an urban area. 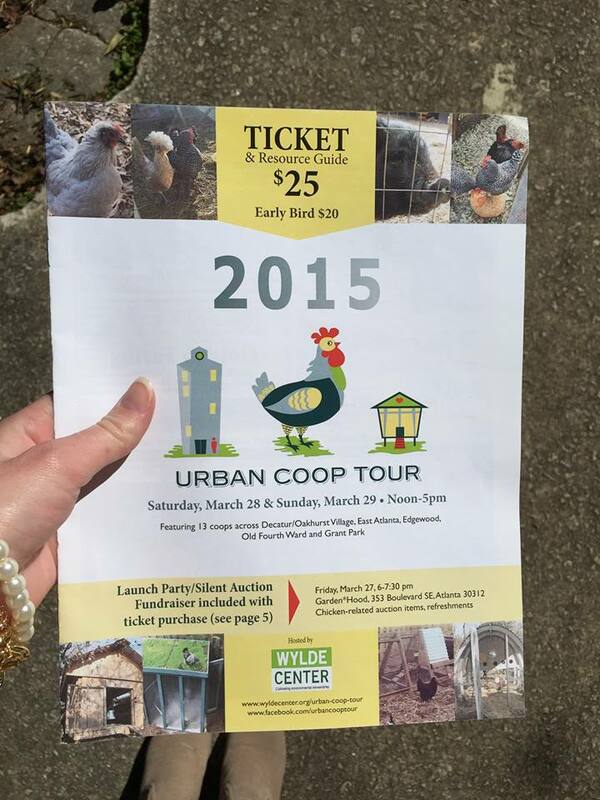 Use your local paper, neighborhood magazine or a Google search to help you find some fun tours that may be going on. You’d be surprised at what you’ll find. Ps. I also hear good things about the Atlanta Movie Tours. And if you want to see dates/times of various festivals, check out this site. 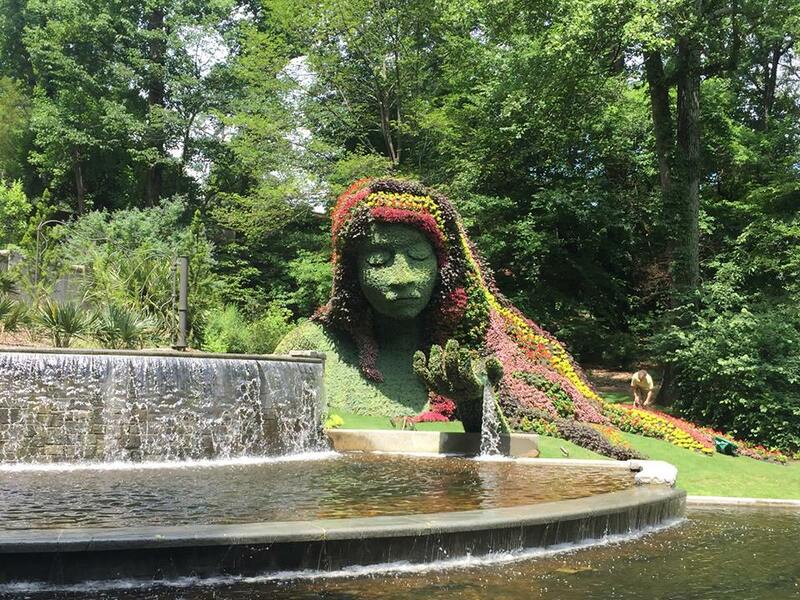 Atlanta has some incredible festivals from wine to arts to crafts and food festivals. Zoo Atlanta: I’ve always thought this zoo was just so cute. I don’t if it’s the kid in me that loves it that much or what, but it’s fun for everyone in the family, but definitely choose the cooler months to enjoy this one. 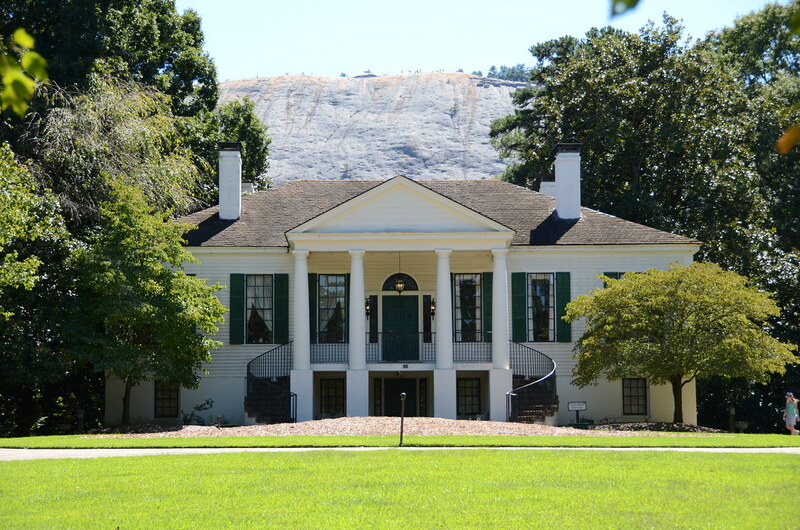 Stone Mountain: I love the plantation and old farm on the Stone Mountain property, as well as the little amusement park at the base of the mountain. They have all sorts of cool season activities at Stone Mountain, but my favorite thing to do here is climb all the way to the top of the mountain. The views are breathtaking. 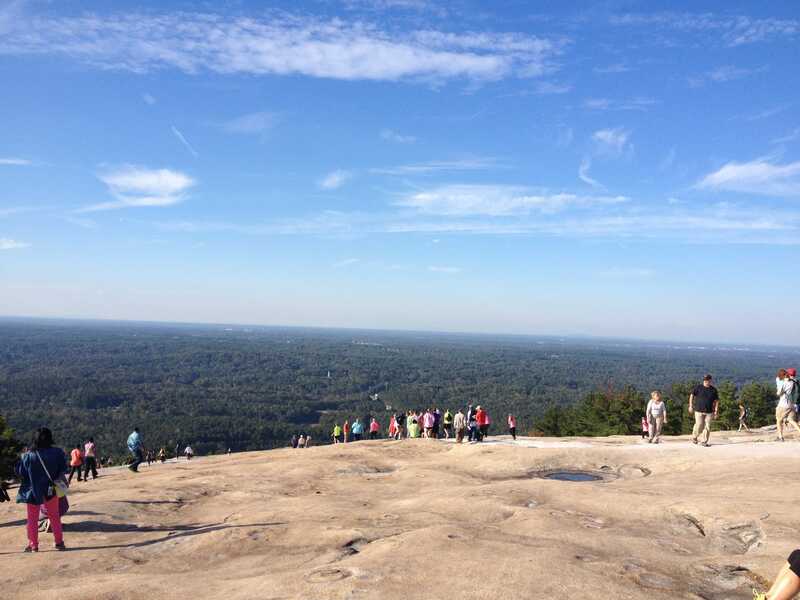 Check out my full post on Stone Mountain here. 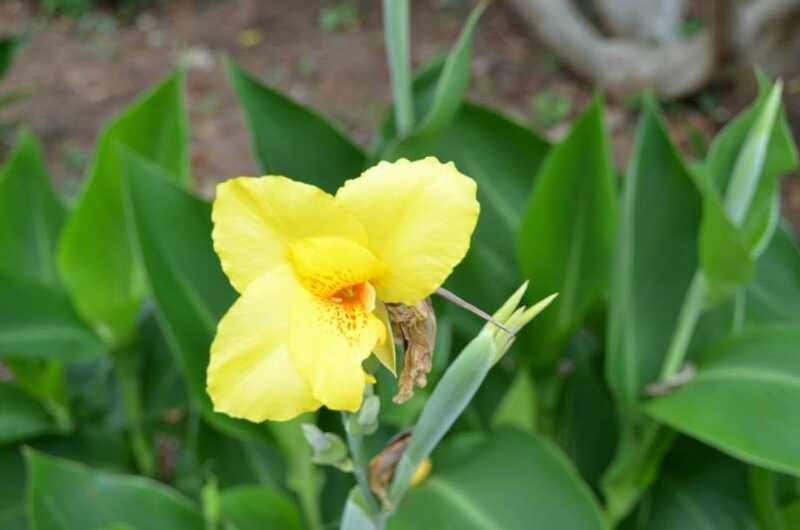 This plantation is so much fun to explore with the family or friends. It’s a pretty cool place for kids too. Lots of history and ways to really “see” it in action. 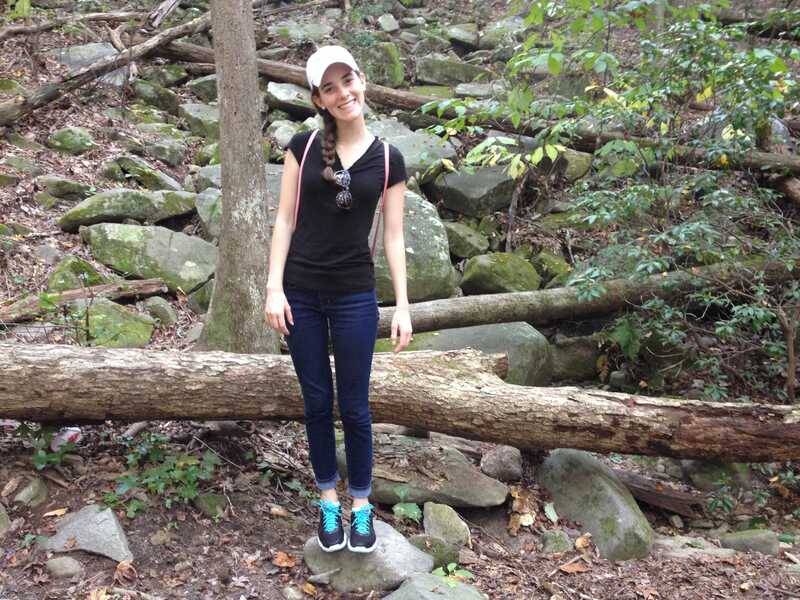 The trails at Stone Mountain are beautiful and a really cute idea for a date day! 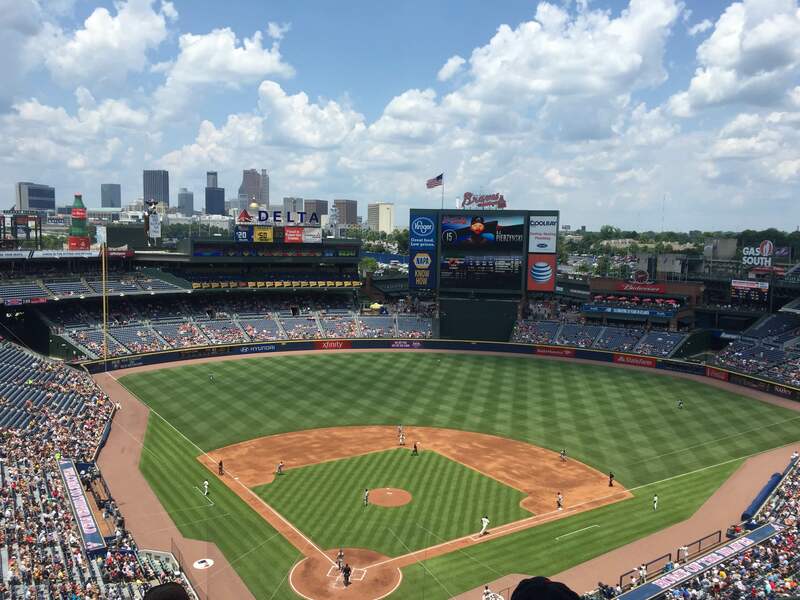 Braves Game: Turner Field is a classic all-American place to spend the day with family or friends. I’m not even a huge sport fan and I even enjoy going to these games. 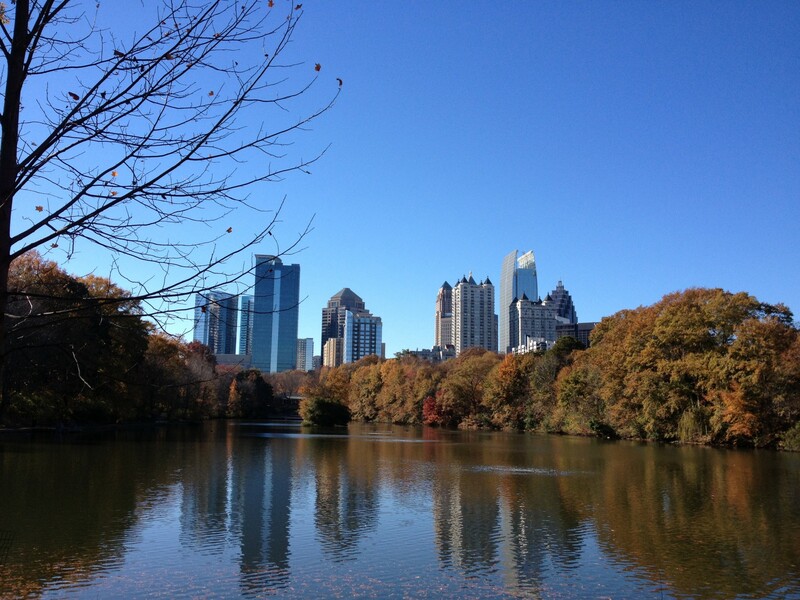 Piedmont Park: Gosh, I love this place. 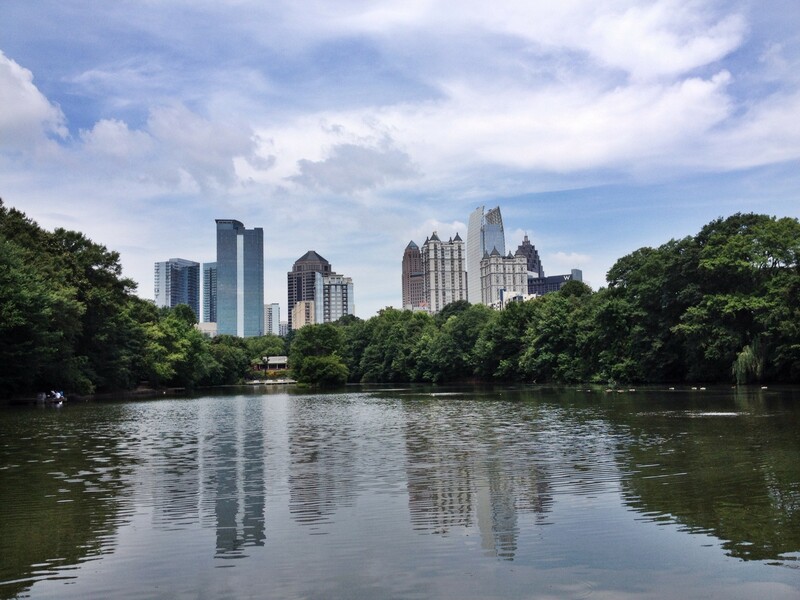 I could spend all day in Piedmont Park. It has a special place in my heart, because Matt and I had our first date here. It’s great for walks, pictures, picnics and just about anything you may want to do outdoors. 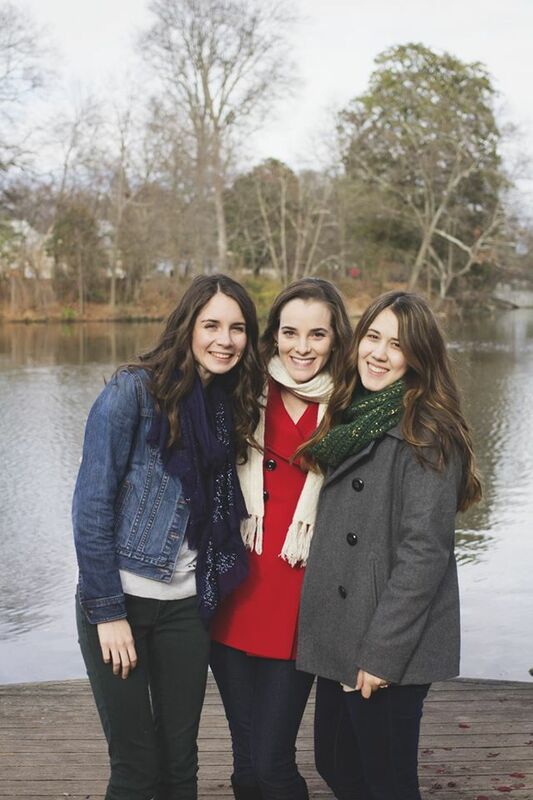 Summer in Piedmont is the perfect time for a walk, picnic or just exploring the neighborhood with friends. And here’s Piedmont in the fall. This was a picture taken on Matt and I’s first date. 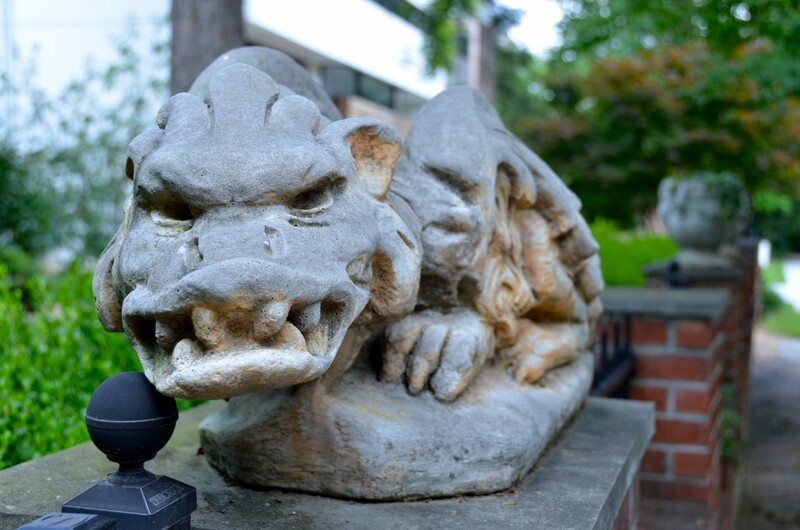 There are lots of great coffee shops nearby and things going on in the park during the fall. You never know what kind of things you’ll find when you take a walk through the park haha. But, that’s half the fun. Beltline: Unfortunately, I haven’t been able to explore the Beltline yet, but I hear such good things about it from everyone I know. I can’t wait to bike or walk the Beltline and try some of the cute restaurants along the way. It’s just one of Atlanta’s really cool ways of improving an already unique and vibrant city. 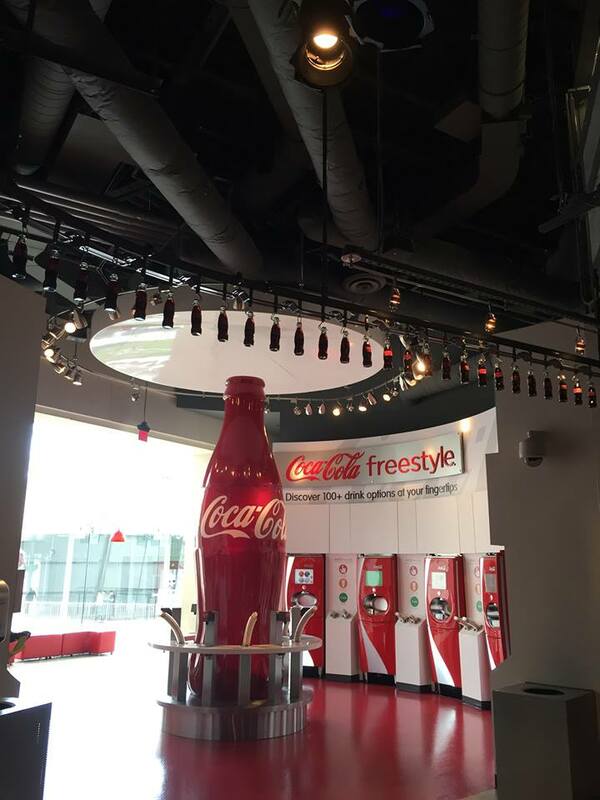 World of Coca-Cola: There’s a reason they call Atlanta “Hotlanta” and for days like that, this is the perfect place to go. It’s not a super expensive place to go and you’ll be entertained for a couple hours. At the end you get to try coke from around the world and take home a free glass bottle of coke. Ps. does anyone else get teary eyed from the video they show you at the start of the tour!? Okay…I guess it’s just me haha. By the way, it’s never this deserted near the coke machines, I just happened to catch this photo after they’d just finished blocking off everyone so they could clean. So, be prepared for crowds when you visit! Even the area outside of the museum is pretty place to visit. 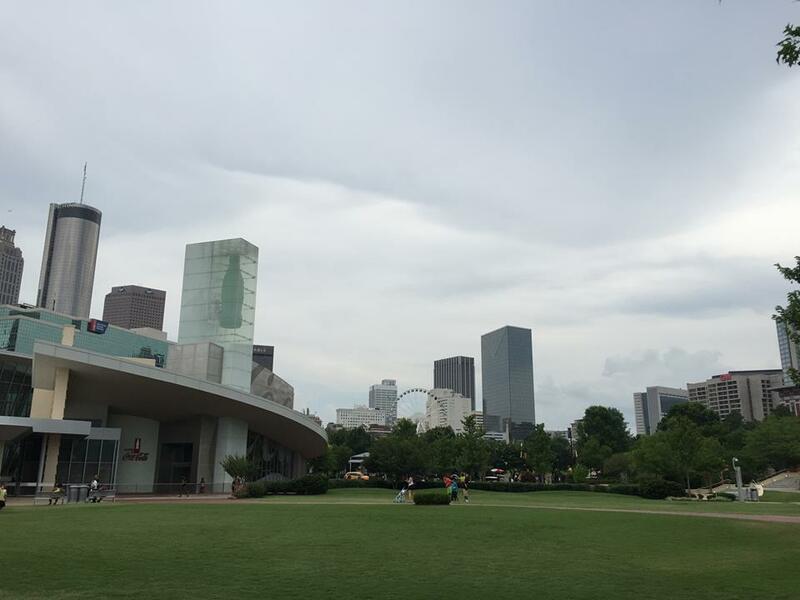 It’s recently been renovated and just by walking across this grassy area, you can get to the Georgia Aquarium. CNN tour: The journalism nerd in me loves the CNN tours. It’s just really cool to get to see how such a large company got its start and what goes on behind the scenes. 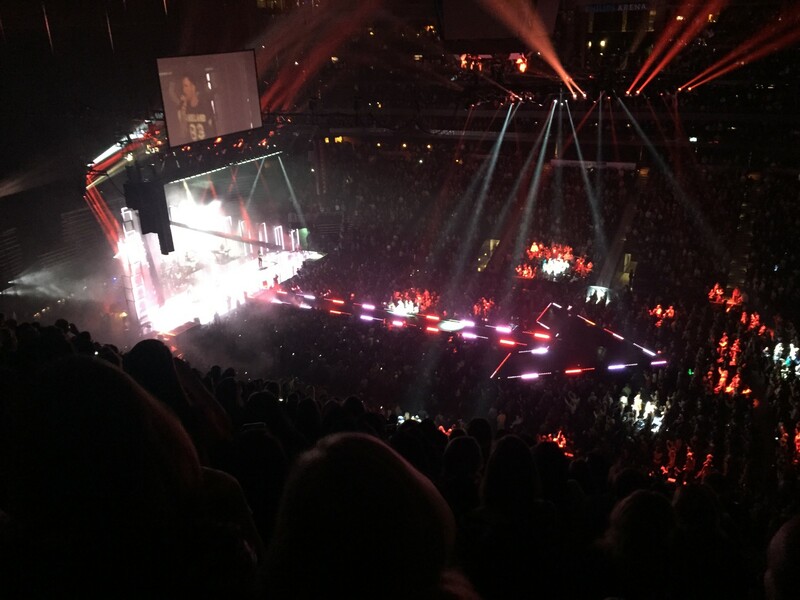 Concerts at the Philips Arena: You name the artist/musician, and they come to Atlanta. For me, this is one of the strangest adjustments to living in a big city. It just shocks me that Maroon 5 is playing down the road from where I live. Two words: Adam Levine. Yeah, he’s as great as you think he is. Fox Theatre: I have this thing for theatres, so obviously this is one of my top picks. 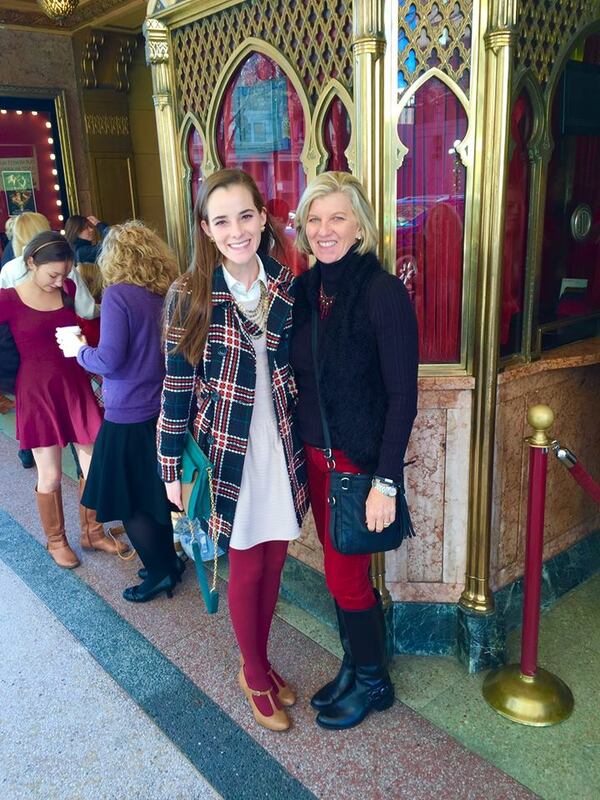 Last Christmas, I saw the Nutcracker at the Fox and it was gorgeous. Check their website for shows and upcoming events! 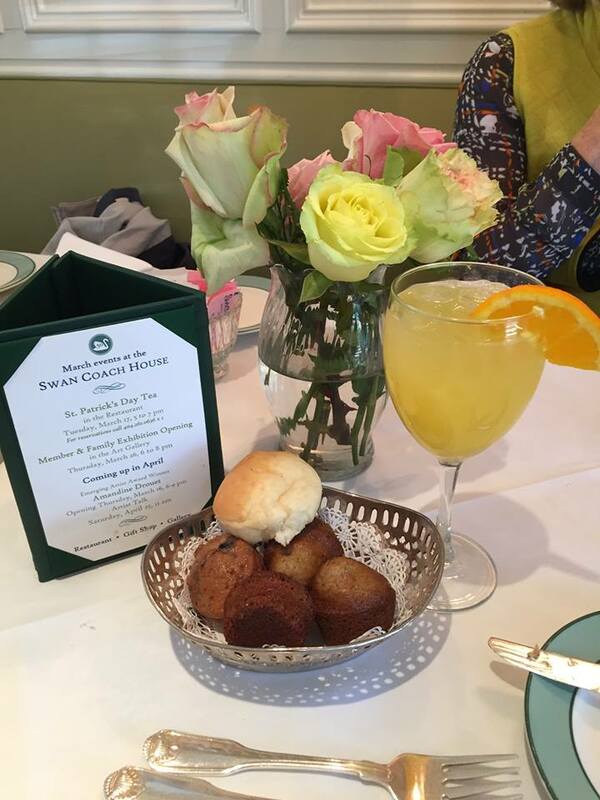 Swan Coach House: Definitely a fun brunch or lunch place and a quaint southern experience. Try their famous fruit salad. You won’t be sorry. Obviously they also have excellent mimosas. 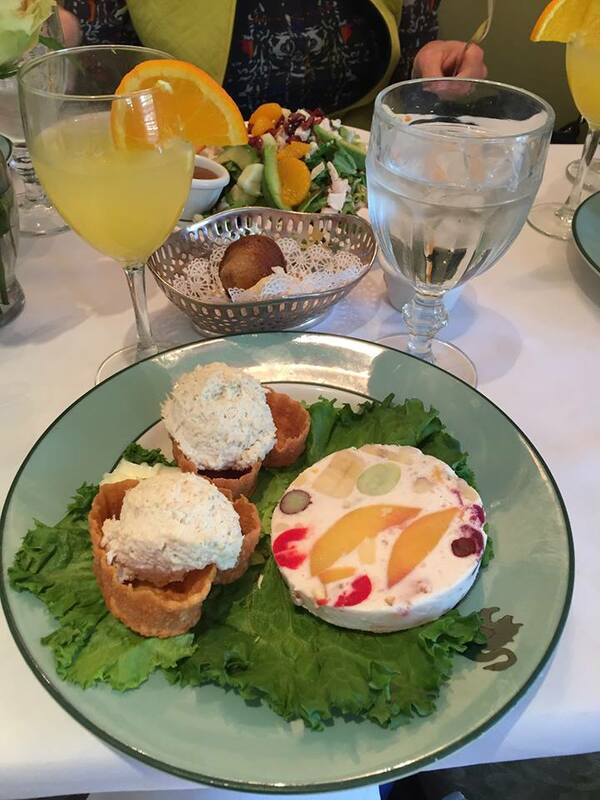 It’s not a true southern brunch without mimosas. I would love you forever if you brought me this meal right now! Sweet Georgia’s Juke Joint: A great place to meet up with friends and order drinks or comfort food. Empire State South: We went to this really cool and modern restaurant for brunch before the Nutcracker, and it was a great choice. Again, you can’t really go wrong with anything on the menu. Mary Mac’s: Oh, sweet Mary Mac’s. My family has been coming to this place for years, mainly on holidays when we were passing through town. I love pretty much everything on the menu. 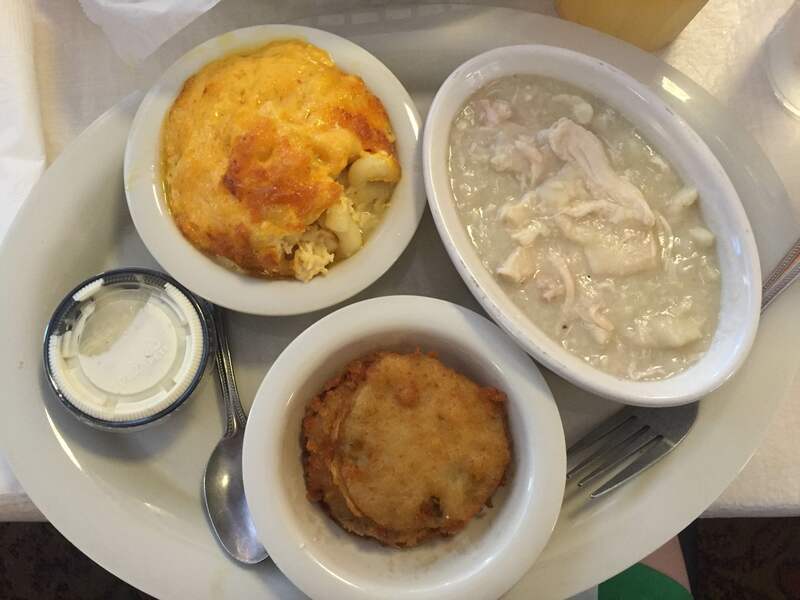 Chicken and dumplings, macaroni and cheese, and fried green tomatoes. Yes. Legal Seafood: If you’re in the mood for seafood and a good view, this is the place to go. Plus, it’s really close to a lot of the main attractions and sites downtown. The Varsity: The Varsity is as Atlanta as the Braves and Coca Cola. Yes, it’s really unhealthy, but it’s an experience you should have if you’re venturing to the city. Hope you enjoy exploring Atlanta! Happy adventuring. Also, stay tuned for the my Suburban Atlanta Guide.